Earlier today, Adobe and Google announced a partnership that integrates Flash right into future builds of Chrome. At a time when Flash is under fire from both Apple and HTML5 advocates, this is a huge win for the technology. But one thing that wasn’t clear from Google’s post on the matter (and Adobe’s comment to us) is what this means for the upcoming Chrome OS. So I asked. “We plan to bring these benefits to Chrome users across all platforms, including Windows, Mac, Linux, and Google Chrome OS,” a Google spokesperson tells me. In other words, yes, this deep Flash is coming to Chrome OS. Here’s why this is significant: when Chrome OS-based netbooks launch later this year they will not only compete with Windows-based netbooks, they will also compete with the iPad. The iPad, of course, will not run Flash. This could be a major differentiating factor when people are deciding which machine to buy this holiday season. Especially if those people are addicted to Farmville (which is, of course, Flash-based). “Netbooks aren’t better at anything,” Apple CEO Steve Jobs said while unveiling the iPad back in January. This deep Flash integration may give some users reason to disagree. 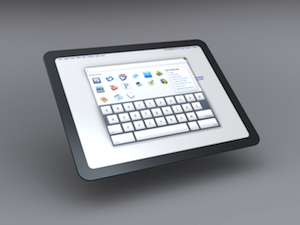 And don’t forget, eventually, there will be Chrome OS-based tablets as well. That Apple/Google rivalry keeps getting more interesting.